Free education is a great service. I hope you enjoy some or all of these. Fasting Transformation Summit; Online for FREE from January 14-20, 2019. Perimenopause Summit March 18-24, 2019. ECOSIA New Search Engine. Over 41 million trees planted. When you Search They Plant trees! You search the web with Ecosia. Search ads generate income for Ecosia. Ecosia uses this income to plant trees. Especially Important at the Holidays to know what’s in the products you may be giving and receiving. Check EWG for the companies with responsible non-toxic ingredients. Clean 15 and Dirty Dozen..
Water is life and I have so much to share on this. Here ‘s a bit more, an excerpt from my e-book.. soon to come! Every cell in your body has to have water in order to function. Drinking coffee, carbonated and/or caffeinated beverages, black and green teas are dehydrating. Even bottled juices are other than hydrating. That’s right! To hydrate your body you need to have pure water! Ideally, distilled water is best. RO water is good. Even water from the well-maintained machine in the grocery or health food store that has RO water is good. Use glass bottles for your water. You don’t want to fill yourself with plastic! To make water more hydrating, to 16 ounces of water, you might put in a teaspoon of algae powder, or a squirt of lemo You can use Willard Water, Crystal Energy Tincture, a quart crn.ystal, or a pinch of salt into your water to make it even more absorbable. The rule of thumb is to drink a half ounce of water for every pound of body weight. So, if you weight 100 pounds, your daily water intake should be about 50 ounces. Symptoms of mild dehydration are brain fog, tiredness, headache and irritability… the long term results of chronic dehydration is chronic and acute illness, including poor immune system, heart problems, and brain problems. You can also “vitalize” your water. This is a way of spinning your water into a structure that is healthier and more more absorbable. Helps YOU Resist the Stress of the Holidays! Let your friends do some of the work! 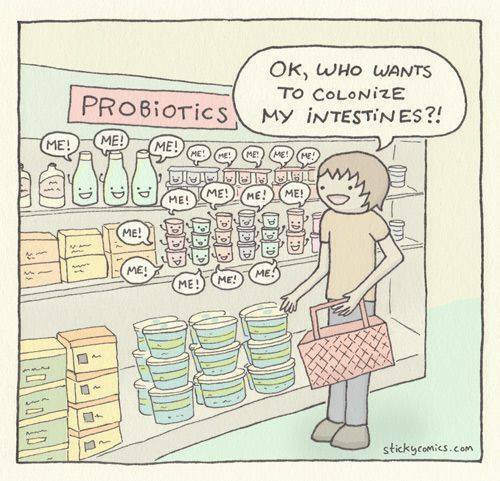 Were you listening to the Interconnected Docuseries, all about probiotics? Thankfully doctors are now realizing how important a healthy microbiome is and how important it is to take Probiotics and eat probiotic and prebiotic foods. Our New Earth Foods are prebiotic – and our Spectrabiotic is one of the best probiotics your can take. You are assured that you get your money’s worth, because they are 3rd party verified to be at least the quality declared, and NE says they actually put in more than the label claims. Let Spectrabiotic help you improve your digestion, your immunity and your resistance to stress through the holiday season. its good to order even if you don’t get it on sale. its also a great time to urge that person you love, who needs it, and who you’ve been talking to about New Earth, to make that order and get some Spectrabiotic! New Earth’s Spectrabiotic® brings together twelve different strains of premium probiotics, Wild Bluegreen™ Algae and the “prebiotic” inulin that provide ideal nourishment for the live probiotic cells and promote their healthy growth and optimal function. Vibrant health from the inside out. Healthier Digestion by Doing NOTHING! Link to the whole newsletter! When you think about eating some food that you really love for a few seconds, you will start to salivate. The digestive juices start flowing throughout your digestive system. This lays the foundation for proper digestion. Everyone knows you can’t build a house without a foundation. Getting your juices flowing before you start eating is the foundation for your proper digestion. I like to say a short prayer of blessing and gratitude before I eat. That gives my body time to get the juices flowing! I am doing an ebook with my 1st 2 tips.. and it will be full on – tell all – empower you to self-care.. not about what you eat, but how you eat! If you wanna know when its ready.. Let me know! Healthy Holiday s- this is the Chew One! Chew your food to liquid before swallowing. You’ve got about 27 feet of tubing and most of it is in your belly, winding back and forth with your stomach, spleen, pancreas, liver, kidneys, bladder, and more! It’s not open like a donut with a big hole in the middle! Since you don’t have teeth in your stomach, if you swallow hunks of food, they can get stuck in the crooks and crannies. If they get lodged there, then they will decay! After awhile, the decay and its byproducts will overwhelm your immune system. This leads to leaky gut and parasites and all kinds of other challenges that can be avoided by simply chewing your food. So! Every time you eat, please please be aware to chew your food to liquid. This also starts digestion of the starch and sugar in your food. If you eat something sweet, notice that the longer you chew it the sweeter it gets until it’s gone. Nothing left to swallow! Do a little experimenting for yourself. Plus all your teeth have meridian endings and reflex points for your whole body. Chewing is a great reflexology treatment for your whole body! You’re looking for The One? You’ll see results, guaranteed or your money back. Essential Full Spectrum Probiotics Product? Whether you are born with a poor digestive system or develop one with age, the point is that it can be a difficult and challenging issue to handle. With better digestive health, your immunity increases, you have fewer bouts of stomach discomfort, and you feel and look better on a daily basis. Moreover, those with optimal digestive health also have an easier time losing weight. The best way to improve and strengthen your digestive health is to add a probiotic supplement to your daily routine. Probiotics come in many different forms, ingredient bases, and are able to provide you with various health benefits. For these reasons, it is necessary to use a product that suits you. 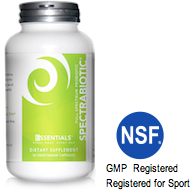 That being said, this review would like to recommend Spectrabiotic Full Spectrum Probiotic. With this product, you can improve and maintain the health of your gastrointestinal tract. What is Spectrabiotic Full Spectrum Probiotic? Spectrabiotic Full Spectrum Probiotic is a blend of flora and enzymes that improves and maintains your gastrointestinal tract. This particular product is formulated and created by New Earth and it is included in its Wild Essentials line of products. One container of the probiotic blend contains 30 capsules that are meant to be taken over a 30 day period. With these designations, you can add the product to your daily health routine while maintain your dietary restrictions. When choosing a daily supplement, it is important to consider the quality of the product and whether you can rely on it. In this case, Spectrabiotic was developed through extensive research and clinical trials. The research regarding the product’s performance centers on three key functions and whether the product is able to meet consumer expectations in those areas. Through the brand’s clinical trials, the brand was able to verify that the product meets each of the above functions. Therefore, when you incorporate the product into your daily routine, you can expect to experience improved digestive health, better immunity, and greater intestinal balance. First, the supplement prevents digestive discomfort. By adding the product to your daily routine, you’ll experience fewer bouts of bloating, diarrhea, stomach pain, flatulence, and the like. By eliminating these issues, you’ll be able to get through your day much more easily. Second, the product also works to improve your body’s immunity levels. By strengthening your immunity, you’ll feel healthier on a daily basis and you will experience fewer instances of illness or low energy levels. The higher immunity is the key to a better quality of life. Third, you’ll also notice your bowel movement getting back to normal. With regular visits to the restroom, you will feel less stomach pain and you will be able to go through your day without having to worry about your stomach health. Fourth, probiotic supplements also stop bacterial imbalance that threatens to cause you depression, arthritis, IBS, and cancer. The balanced bacteria in your body leave you in a better mood and ready to face your day with higher energy levels and a positive mindset. As you can tell, there are many great and real advantages to incorporating a high-quality probiotic into your daily routine. When it comes to Spectrabiotic, you’ll be able to enjoy from each of the above benefits since its formula is a comprehensive solution for your gut and overall health. First, the supplement features 12 different effective and powerful enzymes. By incorporating 12 various enzymes into the blend, the brand ensures that you experience every benefit that probiotics have to offer. 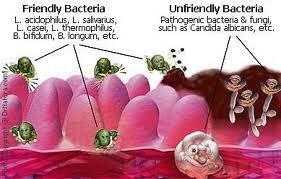 You’ll notice a boost in the friendly bacteria in your gut and a significant decrease in the amount of bad bacteria. It is also important to note that conventional blends only feature 3-5 different strains of bacteria. Second, the product allows for the optimal absorption of nutrients and minerals. With this quality, you’ll be able to lose weight more easily since the additional nutrients and minerals keep you feeling fuller for longer. You’ll find yourself snacking less and eating a healthier and better diet. Of course, some action on your behalf is necessary – such as actually eating well and adding a moderate exercise routine to your day. Either way, the supplement does make the process easier. Overall, if you are ready to improve your overall health and to experience the benefits of a powerful, effective, and reliable probiotic blend, then Spectrabiotic may be the right supplement for your needs. Unlike most probiotic blends, this formula features 12 different strains of bacteria, each of which provides you with significant gastrointestinal and general health benefits. To get started, visit the Spectrabiotic website today. Spectrabiotic Sale or NEW 1st time Orders! December 7th through the 31st, New Earth is offering your NEW Customers, Preferred Customers, and Associates 10% off Spectrabiotic and FREE shipping on all enrollment orders that include Spectrabiotic! 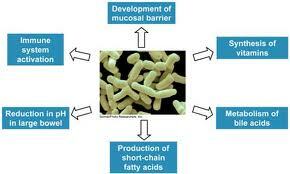 Probiotics are sure essentials for health. So many assaults in our world are harming our micro-biome, that regularly replenishing them. You save 10% on your first order… and if you like it you can join and become a preferred customer. They do save 10% or more by ordering as a PC over a retail. Retail is great too! This is a wonderful offer. or Call New Earth to order 1-800-800-1300..